Is there anyone who don’t love yummy yummy chocolates? We guess it will be hard to find such person and so this time we are here to present an entrepreneur who is into chocolate making business. 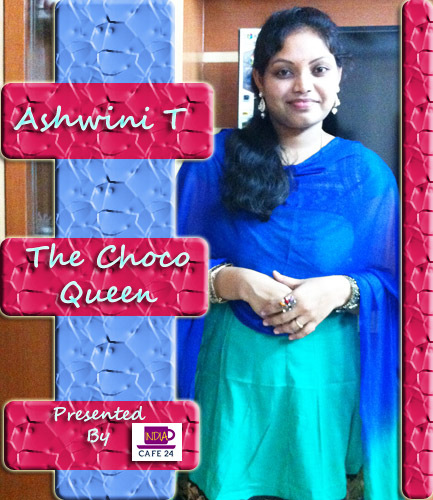 Yes, we have with us Ashwini T, the Choco lady for this session. Welcome to Indiacafe24.com.Chocolate is one such product which is loved and appreciated by people across globe and we are happy to have you with us Ashwini. Ashwini will request you to introduce you to our readers? First and foremost I would like to thank you for giving me this opportunity which is a wow moment in my life. Coming to my introduction, I am from Hyderabad. I did my Masters in Computer Applications and I started my career as a Software Engineer. My husband works for an MNC and my lovely son ‘Karan’ is 8 years old, studying 3rd class. In general every woman knows the art of cooking, u turned slightly different and you are a Choco diva. How that happened to you? 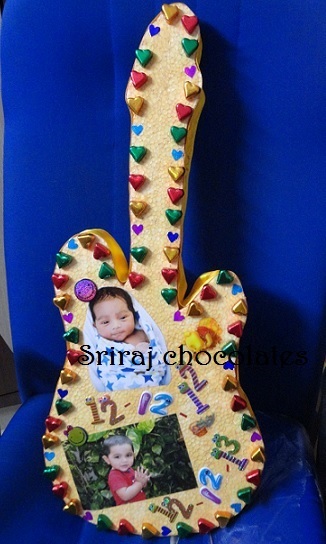 My passion towards chocolate making started after my kid’s birth. I gave up my Software Profession and started my new profession of Chocolate making. 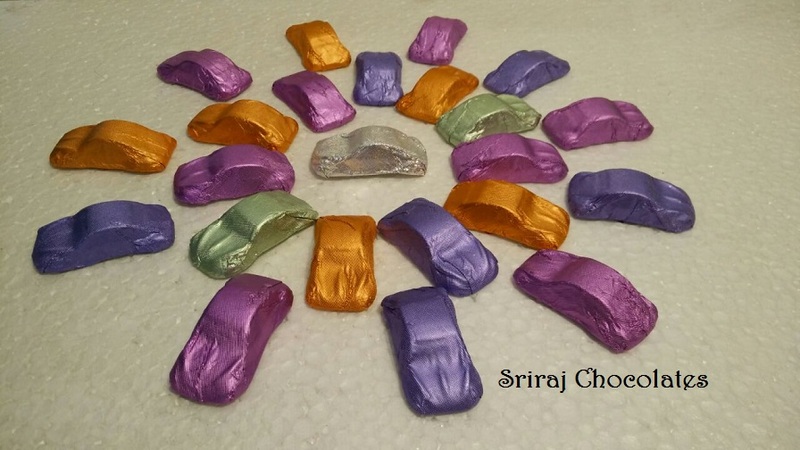 My kid is very much fond of chocolates and whenever he eats chocolates bought from outside he would end up with cold, hence I decided to start making chocolates at home so that he should not miss chocolates and at the same time I will also be not concerned about his health as I would be making them with utmost care and in hygienic conditions. Who is the one who first noticed a spark in your choco making style and inspired you to become a Choco diva? My husband and my sister. These days Indian women are super talented and they want to expand their boundary to showcase their talent and creativity. For you what exactly in Choco making provoked you to make a career in this niche field? As I mentioned, initially I started making chocolates for my kid, and on his birthday, we distributed the chocolates made by me in his school and I got many appreciations for the chocolates. 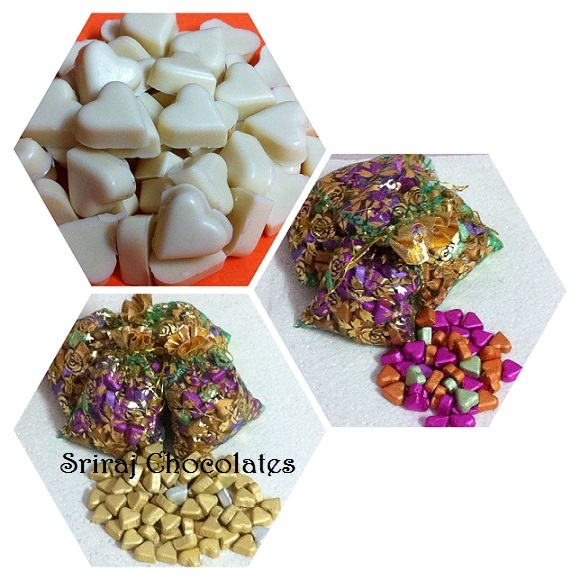 One day I got a call from one of his friend’s mother and she said that her kid was very much flattered with my chocolates and requested to make chocolates for his birthday party, this was my first order and later on I started getting many orders due to word of mouth. This boosted the confidence in me and I decided to go on a larger scale and started advertising through social media for which I got a very good response. When you decide to start with your Chocolate making class? Initially, I didn’t have any thoughts of taking chocolate making classes, two years before when I went to my hometown, many of my neighbours asked me to train them on chocolate making, this way it started. What are your specialties in Choco style? In short what are the different form of chocolates you make. 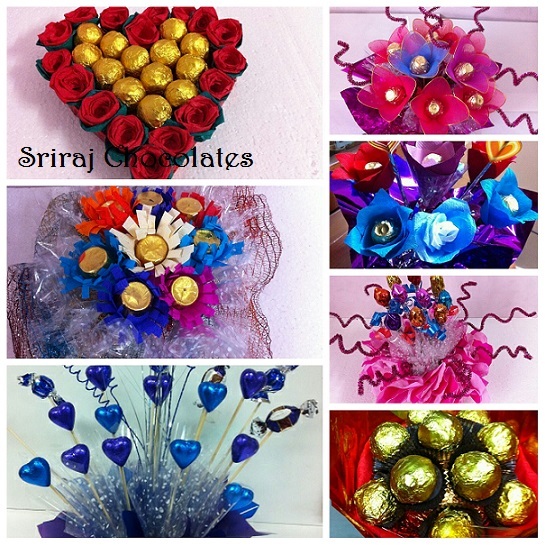 I make all variants of chocolates like truffles, fruit &nut, roasted almond, ferrero rocher, dulce- de-lache, marzipan, personalised choco sms, chocolate bouquets, chocolate spoons and many other varieties. 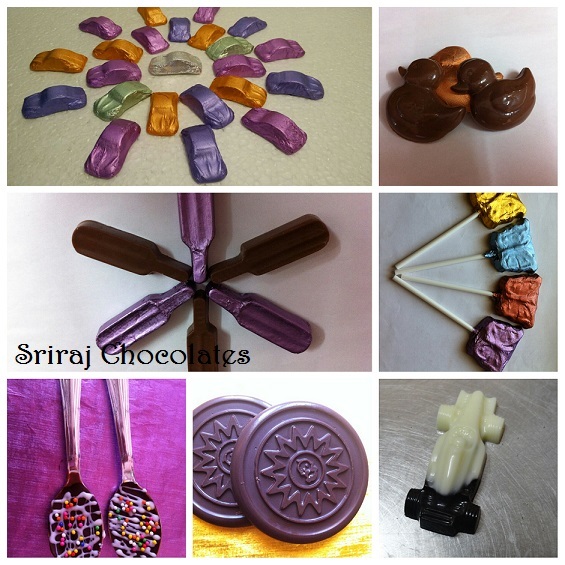 I make it a point to keep the occasion in mind and make chocolates that suits the occasion. 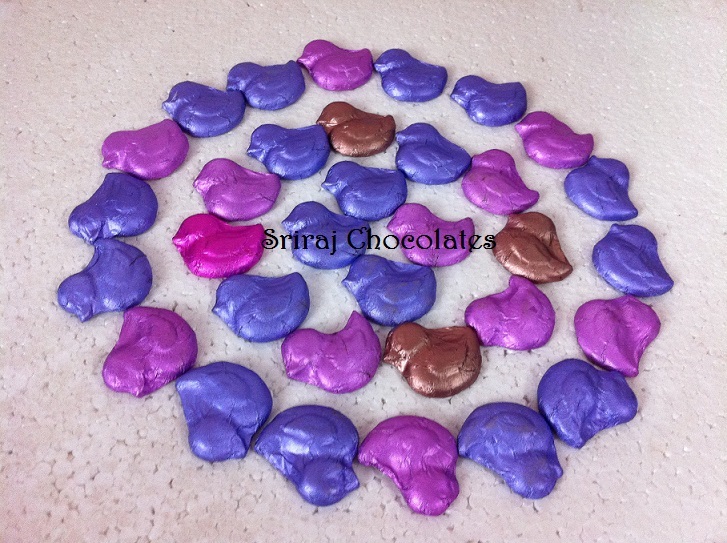 For instance, for occasions like kids birthdays, I make chocolates that attract the kids like cars, sport cars, bats, and Mickey Mouse etc with flavours like milk and white which the kids like very much. 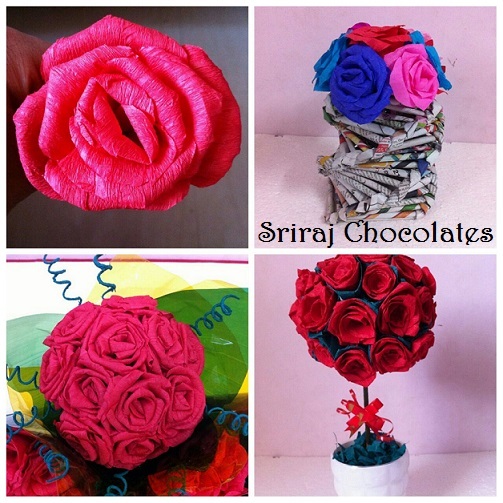 The latest trend has been choco sms and chocolate bouquets which people have been using to express their feelings. 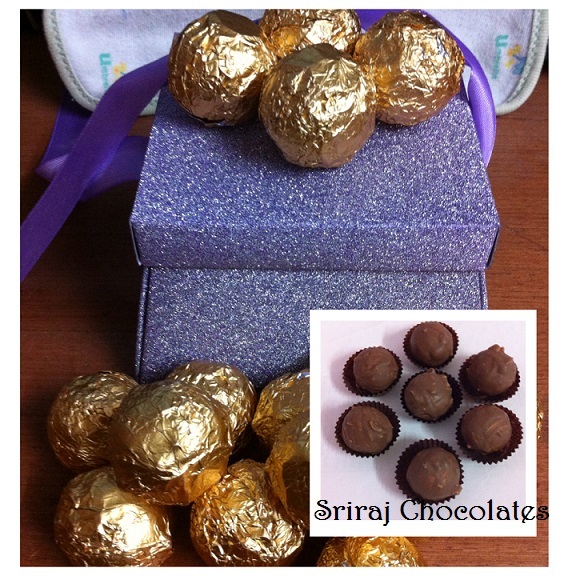 What are the key features in your Chocolate making class which is different from the rest cooking classes in India? First and foremost, I won’t take more than 10 candidates in a batch so that I can focus more on them and I can interact and spend more time with each candidate individually. I also give them a complete hands on right from mixing the chocolate to packing so that they get complete exposure and hands on. Also, I provide the required material for the trainees, and the takeaway is the chocolates made by them so that they can share with their family members. What curriculum you follow in your classes? 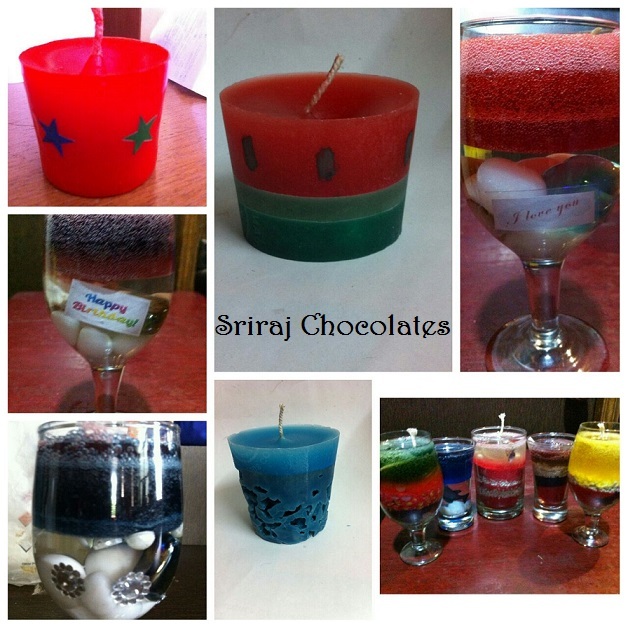 Is there any scope where students can request you to teach some specific chocolate as per their interest? I have many formats of training. Even though, I take a full course of chocolate making, I ask all new candidates to enrol for Basic chocolate classes initially and once they become confident, I ask them to enrol for advanced classes, this way it helps them to learn the course systematically. 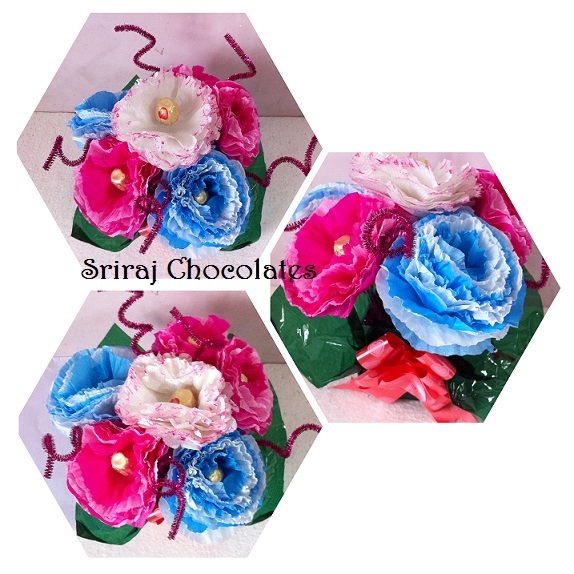 I also, take specific training based on the interest of candidates, there are some candidates who wants only chocolate bouquet making, some may want to learn only Ferrero Rocher or decorative chocolates and so on. In which cities so far you have taken classes and what are the next targeted areas where you desire to take class? So far, my focus has been Hyderabad and nearby cities, recently I got many requests for taking classes in cities like Pune, Mumbai which inspired me to start online classes for which so far the response has been very good. I am planning to start weekend classes in the cities like Chennai and Bangalore from which I get many requests especially from IT employees. What sort of response you get from candidates when you announce you classes in different location and different chocolate making style? I get very good response, people approach me with many doubts before they join the class, which I clarify and suggest which course should they join, so that they should be clear before joining the class. How it feels when people appreciate your style of chocolate making? It feels awesome and boosts my energy levels to work more. What are your future plans about your classes? 1 to 2 years down the line, I would like to focus on other cities apart from Hyderabad and start classes in other cities of the country, especially in small cities and towns, so that it helps in the creation of self employment for the women in those places. I also have a request to the corporate companies, whenever they offer corporate gifts to their employees they prefer us over branded chocolates, so that they can get these special chocolates at competitive prices and also as their gesture of support towards self employment of women. Who is the best critics of your Chocolates? My Husband is the best critic and he has been of complete support to me. I rate myself as 4. Nobody on this earth is perfect and I still think there are many areas where I need to focus on to achieve a score of 5. 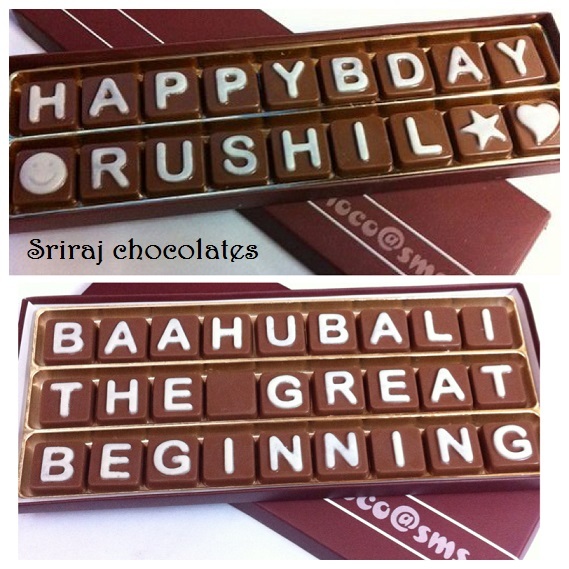 Define Ashwini The Chocolate Diva in one line? Simple, sober, hard working and sweet like a chocolate. Great achievement..and al d very best fr a bright future Ashwini T.
Congrats Ashwini… Good to know your journey of chocolate making…. 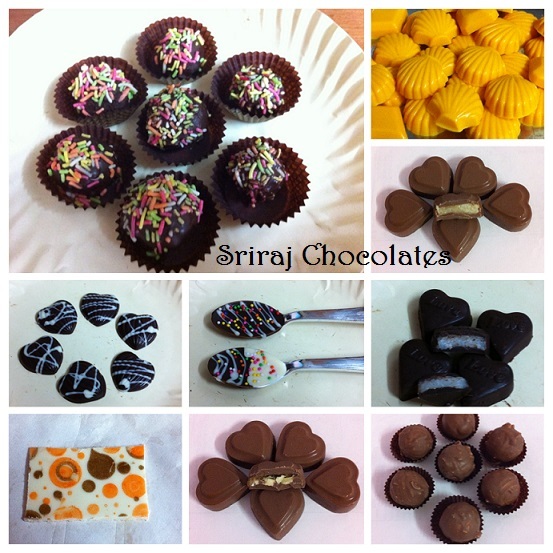 Thanks Nikita.. Pls check my page Sriraj homemade chocolates in FB. Whr r u from?? This Sunday also I’m taking classes.